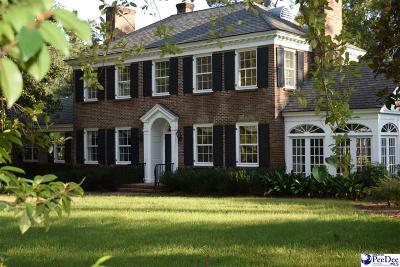 518 Oleander Drive - Forest Hills- for decades this stately home has been regarded as one of Florence's finest. Situated on three lots covering 1.2 acres in the heart of Forest Hills. An architecturally correct Williamsburg style home that has been meticulously maintained. The main house was built in 1953 and has 5 bedrooms and 4 full baths and approximately 4,692+/-sq ft. The separate guest house features an impressive game room, kitchenette, bedroom and full bath. The grounds are truly one of a kind.